On February 1, 2019, in Hines v. Youseff, #15-16145, 2019 U.S. App. Lexis 3312 (9th Cir. ), the Ninth Circuit upheld the dismissal of lawsuits brought by hundreds of inmates claiming they were unlawfully exposed to Valley Fever, a disease caused by inhaling certain fungal spores that are endemic to much of the Southwestern United States. The Ninth Circuit held that the prison officials who were sued were entitled to qualified immunity and dismissed the claims against them because 1) several of the defendants were not personally involved in the housing decisions of the inmates who sued; and 2) there was no clearly established law stating that inmates had a right to be free from areas such as the Central Valley with heightened exposure to Valley Fever spores, and 3) it would not have been obvious to the officials that their actions were illegal or unconstitutional. In 2013, dozens of prisoners who were housed in prisons in the Central Valley of California filed a civil rights lawsuit against state officials for money damages. The prisoners alleged that they were exposed to a heightened risk of getting Valley Fever (also known as coccidioidomycosis) and claimed that this exposure constituted cruel and unusual punishment in violation of the Eighth Amendment. This lawsuit was consolidated with 3 other substantially similar lawsuits, including one in which African-American inmates sued under the Equal Protection Clause, claiming that African-American inmates were particularly likely to get Valley Fever and suffer serious injury including dissemination of the spores. The consolidated lawsuits comprised over 200 prisoners with the potential of a class action lawsuit.  Burke, Williams & Sorensen represented two of the state medical officials, and the remaining defendants were represented by the California Attorney General’s Office. In 2015, District Court Judge Lawrence O’Neill dismissed these lawsuits, finding that the officials were entitled to qualified immunity. Plaintiffs appealed the ruling. In 2019, after briefing and argument at the Ninth Circuit Court of Appeals, the Ninth Circuit affirmed this dismissal. In this case, the Ninth Circuit agreed that state prison and medical officials would not know that their actions (which in this case allowed inmates to be housed in the Central Valley where Valley Fever is prevalent) would be unlawful. While there have been cases that have said that the government cannot knowingly expose individuals to environmental hazards, under these cases, the environmental hazard must be so significant “it violates contemporary standards of decency to expose anyone unwillingly to such a risks,” or in other words—the environmental hazard “is not one that today’s society chooses to tolerate.” This might include toxic waste, for example. Here, the Ninth Circuit did not find that it violated contemporary standards of decency to expose anyone to Valley Fever because millions of individuals tolerate a heightened risk of Valley Fever by voluntarily living in California’s Central Valley and other areas where Valley Fever is prevalent such as parts of Arizona. Therefore, state prison and medical officials would not know it would be illegal to house prisoners in an area where millions of other people choose to live. The Ninth Circuit also found it significant that a Federal Receiver, who was appointed by the federal courts to oversee the medical and housing conditions of the Department Corrections, knew about the alleged issues with Valley Fever, but did not require the prisons to do anything more than what they had already done—which was moving out inmates with compromised immune systems (those most at risk of developing Valley Fever) in 2007. Therefore, it would not have been obvious to state officials that they were acting unlawfully by housing other inmates (without compromised immune systems) in prisons in the area. After the Ninth Circuit affirmed the dismissal, the attorneys for the prisoners sought en banc review, which is reconsideration by the entire Ninth Circuit. However, on March 26, 2019, the Ninth Circuit denied this review. At this point, the prisoners’ only remaining option would be petitioning this matter to the Supreme Court, but it is unlikely that the Supreme Court would take up this issue, especially given its strong preference for qualified immunity. This case is an important victory for state prison and medical officials who do indeed work diligently to address prisoners’ needs. No one wants to subject prisoners to inhumane conditions or allow them to get sick as it is unconstitutional and financially draining for the state. However, situations like Valley Fever are complex and often there are no clear answers as to what to do. The state officials did move the most at-risk patients with compromised immune systems but it was unclear how much more needed to be done. Do you move just African-American inmates and potentially deal with lawsuits from other races? And if the remedy is race-based, does that create Equal Protection challenges? Do you close down the prisons entirely in the Central Valley, despite overcrowding issues? Do you focus on environmental mitigation measures which may or may not abate the risks of Valley Fever? Ultimately, qualified immunity gives officials breathing room to make the best decisions they can with the information known at the time without fear of liability.